The calendar dates for American medical students who come to Paris for 4-8 week is totally flexible, however we find that students tend to come during the spring or summer months. 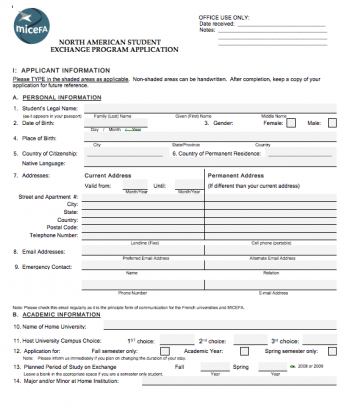 American students need to submit their candidacy at least 3 months before the requested elective date. In order to submit an application for the MICEFA Paris Exchange, you must first go through your Study Abroad Office to get approval. Download the form and bring it in to start talking about MICEFA to your advisor!